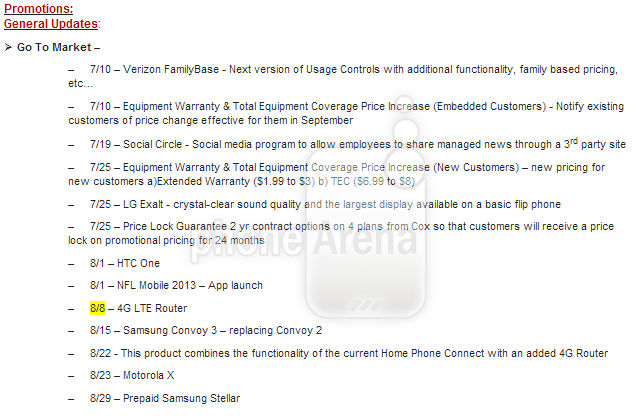 In what PhoneArena calls a "leaked internal memo," launch dates for the Verizon versions of the HTC One and the upcoming Moto X are allegedly revealed - August 1st and August 23rd, respectively. It also adds to the growing pile of evidence that the Moto X will be coming to Verizon sans-DROID branding. Is there any reason to take stock in this rather generic looking document, though? My gut leaning is "yes," but there are caveats to leaked internal communications like these. First and foremost, phone launch dates are always subject to change, especially when they're a month or more away. Barring major supply or other issues affecting the launches of these devices, however, you can probably pretty safely bet that - if this roadmap is the real McCoy - the Verizon One and Moto X will launch fairly close to the dates indicated. 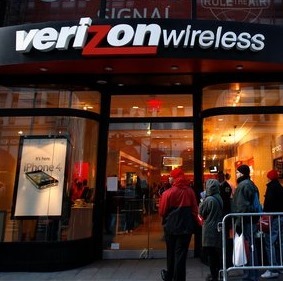 The veracity of this roadmap is almost impossible to ascertain, though, as there is no internal Verizon watermarking, no imagery indicating a source, and no additional information provided about the context in which these dates appeared. My guess is that what we're looking at here is a document sent to the middle-management types at Verizon corporate stores and / or support centers. It's pretty common for carriers to give store manager early access to news about upcoming products and offers so that they can plan accordingly, so while we can't know what this roadmap really is, I'm not exactly inclined to doubt it, either. Either way, we should know within a few weeks if that date for the One pans out.